You are here: News / Announcing the 2014 Regional Restoration Camps! 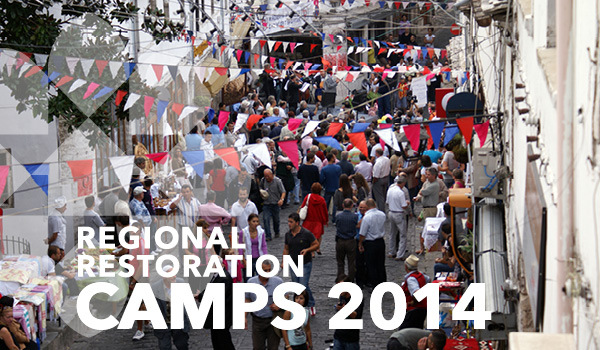 Announcing the 2014 Regional Restoration Camps! 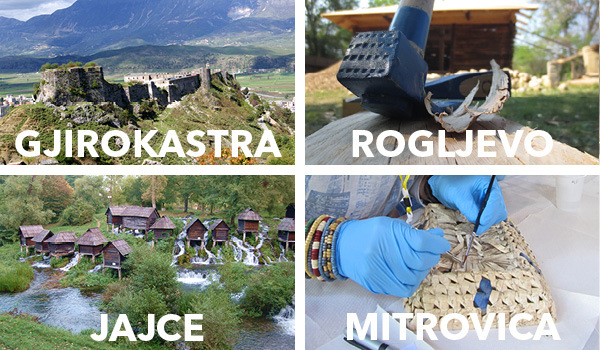 This year, CHwB will be hosting a new series of 5 Regional Restoration Camps across the Western Balkans. The 16th through 20th Regional Restoration Camps will provide participants with engaging lectures and hands-on experience with restoration and conservation, using traditional materials and techniques, as well as with the interpretation and management of cultural heritage sites. During each 2-week camp, participants will follow a rigorous but very fulfilling schedule, which combines theory – through lectures and presentations – with exercises and physical work on historic monuments and objects in Albania, Bosnia and Herzegovina, Kosovo or Serbia. This year, however, each Camp will feature a unique set of guiding themes. Every participant will still receive a broad core of knowledge about conservation, restoration, interpretation and heritage management. Now these will be enhanced by a particular theme to be explored at each location. Each intervention will be directly helping local residents, either with the repair and conservation of their valuable houses or with new means of understanding, interpreting and revitalizing them. While they will be conducted separately, these restoration camps form part of a region-wide push to encourage people to understand the value and learn how to care for their local heritage. The main objective is to use cultural heritage as a platform for professionals, both men and women, to meet and create conditions for reconciliation as a prerequisite for peace and democracy with respect to human rights, as well as to stimulate local economic growth through the development of cultural heritage. Students and young professionals from Albania, Bosnia and Herzegovina, Bulgaria, Croatia, Greece, Kosovo, Macedonia, Montenegro, Romania and Serbia, are particularly encouraged to apply. For participants coming from these countries, CHwB will cover the following costs of the Camp: tuition, on-site accommodation with breakfast, Camp excursions and materials for camp participation, including tools, papers, etc. Participants will be responsible for paying for their own meals, as well as travel to the location of the Camp. CHwB will not cover those costs. Applications from other countries are welcome, though they will be required to pay a fee to cover the cost of their participation at the Camp. This fee will be 750 euros, which includes the tuition, on-site accommodation with breakfast, camp materials and planned excursions. Participants will be responsible for paying for their own meals, as well as travel to the location of the Camp. Those costs are not included in the participation fee. *Note: CHwB will cover meal costs only for participants of the 17th Camp in Rogljevo, Serbia, due to the lack of dining options in the village where the Camp is located. 4. CHwB will confirm that we have received your application. If you do not receive a confirmation email within 1 week, please contact CHwB at gro.b1556215556whc@C1556215556RR1556215556. We look forward to see you at one of the five exciting Regional Restoration Camps of 2014! A note for past RRC participants: If you would like to experience the Camps again, you may apply to be a volunteer leader (a separate application will be posted soon! ), or you may attend a second time by paying the full participation fee.